A Spanish shepherd's unassuming life is threatened when developers set their sights on his land. The pastoral tradition was an ancient type of writing in which poets such as Hesiod, Spenser, Herrick et al exemplified a simple life and lamented encroaching materialism, privileging nature over the concrete complexities of urban existence. Assigning shepherds as their central characters, poets contrasted the rural with the life of the town in order to fashion political allegory; the shepherd was noble in his humility, his sincere relationship with Arcadia a distinction to the implicit greed and insularity of municipal living, which removed mankind from its true spiritual destiny. In Jonathan Cenzual Burley’s Spanish drama El Pastor (releasing in the UK as The Shepherd), Anselmo (Miguel Martin) is a man out of time: a shepherd who would have been more at home in a Christopher Marlowe verse, he spends his days conducting a platoon of aged sheep across burnished Spanish plains before retiring to his rural shack of an evening, smack bang in the middle of the countryside, wherein he sips a cheeky glass of Rioja with his GORGEOUS big white dog Pillo. Idyllic yes, but sadly for Anselmo modernity marches on, and the burgeoning expansion of the surrounding town threatens to impinge upon his unassuming lifestyle when developers design to build on the ground where Anselmo works and lives. Anchoring his film with a reference to the Book of James’ warning to rich oppressors, Burley paints his developers as increasingly venal and corrupt, and the stubborn Anselmo’s predicament escalates into a lamentable battle between the aged shepherd and corporate interests. What makes El Pastor especially interesting though is how the thrust of development is tied in to the various elements of the town; the crooked abattoir owner who is in hock to the developers, the townsfolk who are willing to sell up in the hope of making a better life for themselves. 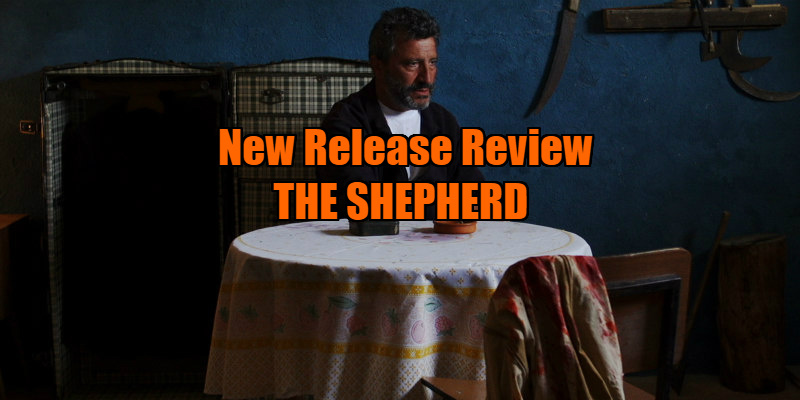 The economic implications of post-credit crunch Spain are integral to El Pastor’s subtle, simmering drama, which takes its time to establish Anselmo’s calm actuality with elegant panoramic photography and gentle, non-causal sequences. In fact, for a little while I (erroneously) began to think that El Pastor was, like the ostensible personality of its lead, going to be ambling, easy going and, well, ultimately just a little bit dull. Turns out I was as short-sighted as the corporate nob heads who dismissively refer to Anselmo as a ‘fool’ and the ‘village idiot’: El Pastor is a film that respects its subject and demands that we do too. One balks to imagine what someone like Ken Loach would have done with this material, heavy handedly subjecting us to on the nose scenes of Anselmo sweating in the fields while fat cats twirl their moustaches, perhaps. Instead, the filmmaking here is unfussy and earnest, carefully marshalling us like Anselmo with his woolly charges towards its devastating final act. Although rooted in pastoral tradition, in its later scenes El Pastor transforms through cruel necessity into a more modern genre: the Western. Anselmo is forced to do what a man has to do in order to safeguard his corner of existence, with gunshots and recrimination ringing out across the empty terracotta plains. The greed of the developers, and consequent desperation of the townsfolk, reach a fatal crescendo out of Burley’s hitherto sotto voce filmmaking, which is utterly compelling; no wonder El Pastor swept the board (best director, film and actor) at the Raindance festival. Although the dynamics of Anselmo’s tale may well be time worn, the all-too-human context of his fate convinces. In the world of El Pastor, evil creeps up, infecting us with temptations that are barely refuted; ‘Bad are the times/ And worse than they are we’. 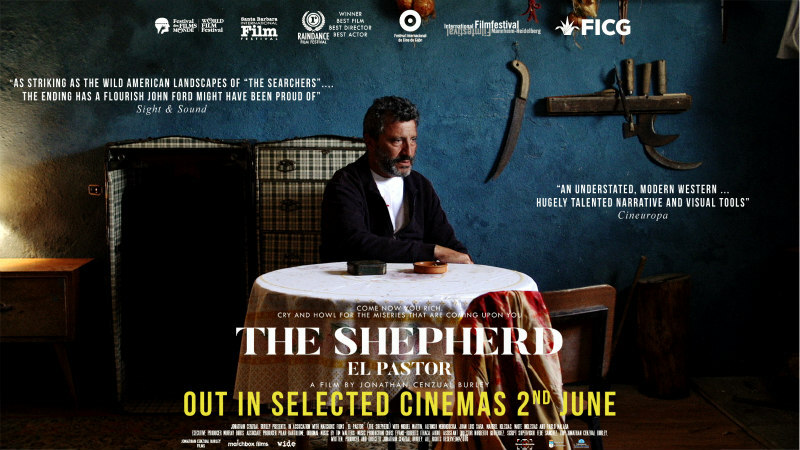 The Shepherd is in UK cinemas June 2nd.